HAPPY DAZE is fast and fun with great sea keeping capabilities and striking looks, this boat is a bit of a dazzler and is in great condition too. Dark Blue hull, teak swim platform with boarding ladder and Webasto heating serving both cabin and helm areas. Powered by Twin Volvo 4.3 GXI petrol engines with approximately 200 hours running. Navigation Equipment includes Garmin 5008 multi function GPS chart plotter plus depth sounder, speed and log as well as Garmin 1001 DSC VHF radio. 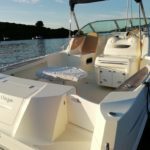 This Karnic 2760 comes equipped with a blue canvas bimini top with aft and side curtains, a cockpit cover, a bow sun pad, all optional additional cushions and a removable teak cockpit table. The large teak swim platform extends the usable deck area. 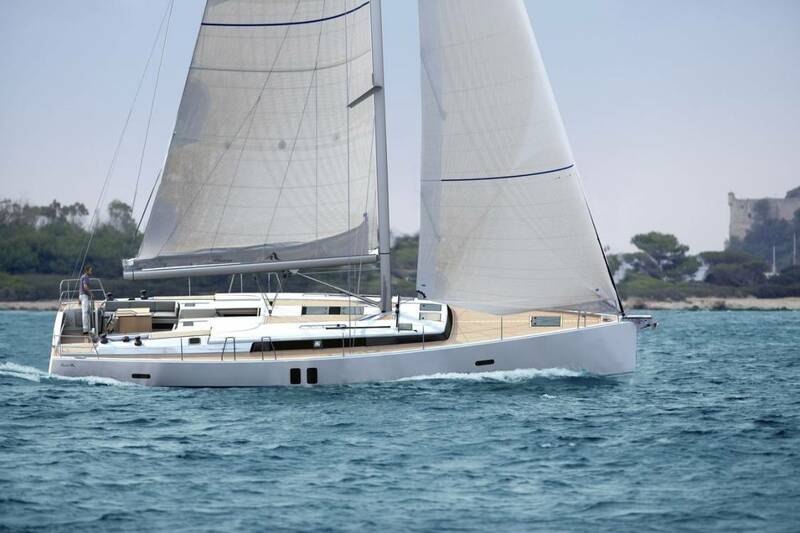 Below decks the Karnic 2760 can sleep four in two double berths. The interior joinery is stylish and elegant. In the main cabin the U shaped settee (in cream leatherette) converts to a double berth and mid cabin there is access to a further double berth. There is a separate heads compartment that offers a sink with hot and cold mixer tap, shower, shower cabinet and electric flush marine toilet.